Eucharist at 6pm on Saturdays. Our services are opportunities to enhance and develop the community through sharing, hospitality and participating in the life of the parish in different ways. The Parish Priest is licensed to conduct weddings according to the rites of the Anglican Church. The Anglican Church of Saint Andrew's in Longwood is an interesting church in the Wangaratta Diocese. Originally part of the Melbourne See, Longwood was transferred to Wangaratta in the 1930 era. It has a fine parochail history and its parishioners are proud of it. 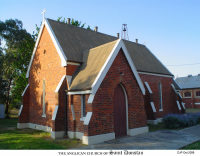 The Nave of St Paul's Anglican Church, Euroa was designed by Terry & Oakden, built by Brewer Bros. and opened in 1885. The central tower, crossing and sanctuary, designed by Louis R Williams, were built 1929-1930, with transepts and chapel added in 1962 and 1978, the latter work designed by Blyth & Josephine Johnson. First organ, B c.1933 possibly by John W. Sherwood, 45 Arundel Street, Benalla and 144 Clarendon Street, East Melbourne, to whom pipework was supplied by George Fincham & Sons Pty Ltd in 1933. 1m, 4spst. Present organ, B 1958 Stephen Laurie incorporating some pipework from earlier organ. 2m, 5rks ext, elpn. 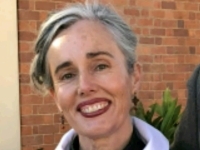 Every 3rd Saturday • Providing Community services information • A Cuppa With Rev Michelle • Fund-raising for the restoration of Anglican Parish of Euroa.